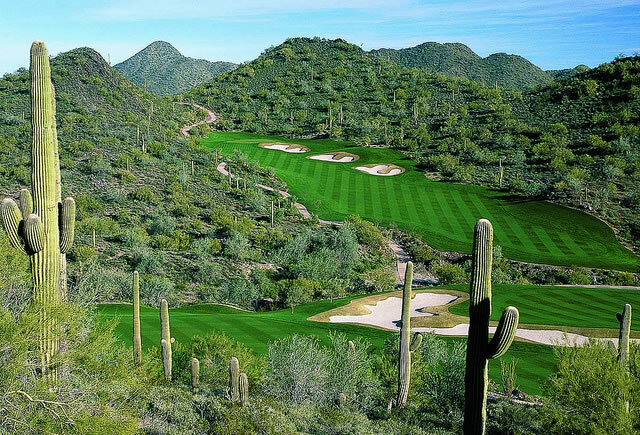 Quintero Golf Club has risen fast to be one of the most fantastic true desert golf courses we have in the state of Arizona. 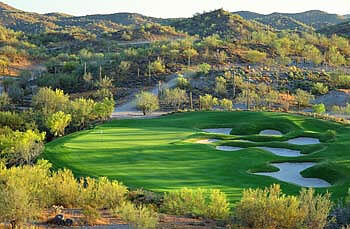 This Rees Jones design delivers outstanding playing conditions, surfaces and guest service in the valley. 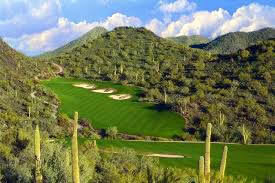 The 7,200 yard par 72 design is located in the North West part of Phoenix and is typically a 45 minute drive from Scottsdale. The course will wind you through the mountainside and features many elevated tees, rolling fairways and undulated greens. The dramatic elevation change of the course will leave you with excitement of the desert scenery around as well as challenge your golf game. 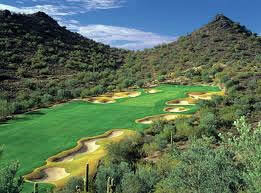 In 2012 GolfWeek magazine rated Quintero as the #37 top residential courses in the United States.